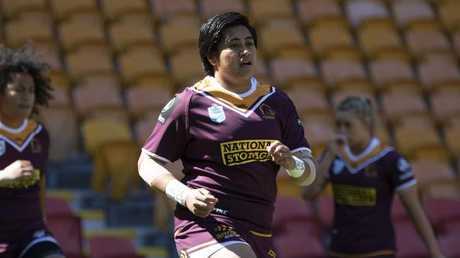 Brisbane Broncos NRLW player Maitua Feterika. MUST CREDIT: Broncos Media. BRONCOS forward Maitua Feterika has revealed the heartbreak she endured in the lead up to the inaugural NRLW season, after the tragic death of the man she considered her second father. The New Zealand international made a stunning debut for Brisbane in their clash with St George Illawarra last Sunday, even scoring a try to help her side to their 30-4 victory. But Feterika was overcome by emotion in the moments after she scored, flashing her wrist tape at the television cameras in recognition of two men she has sadly lost in the last 16 years - her father, Laka, and her father figure, Sam Folau. The 26-year-old's Dad passed away when she was just 10, in a drowning accident in Mission Bay in Auckland. It's a pain she has carried with her throughout her life, but her father has also been her inspiration for her rugby league career. In the time since he passed, she also met Folau through her church and he took her under his wing and became like a second father to her. He was one of her greatest supporters, but just three weeks before Feterika pulled on the Broncos jersey for the first time, she learnt he had passed away unexpectedly in his sleep. "I was at school and I got the phone call," Feterika, a teacher aide, said. "Going into the Broncos training that day, I was like, 'what the hell?'. I just didn't know what to think … I wasn't myself and it's really noticeable when I'm quiet. Feterika is one of Brisbane’s newest stars. "I told (coach Paul Dyer) straight away and they told me to go home, go to the funeral and come back. When I came back, everyone was there for me. "That's what you need in the team environment. It felt like I was okay, because I knew they had my back." 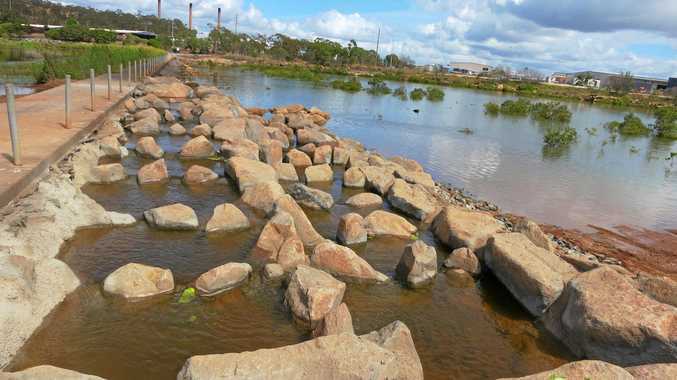 Feterika, who moved to Brisbane earlier this year in a bid to improve her rugby league, said it was definitely hard to prepare for the new season following the loss of her second father figure. Folau was due to travel to Brisbane for her side's trial against PNG and to last week's game, but she honoured him with her performance instead. Now she is using both men as motivation to carry her through to this year's grand final. The centre-turned-backrower said she will wear their names on her wrists in every game of this history-making season, including Friday's showdown with the Roosters. Feterika’s Broncos will take on the Roosters this Friday. Picture from Broncos Media. "Every time I'm playing, I always look up to the sky and think of my Dad," she said. "I always feel like he's there with me. I picture him on the stands holding a can, sipping away. I can picture him being so proud. He used to take to me to all my rugby games growing up. "Sam was also always willing to support me and my footy. We'd sit down, have a cuppa, and he's always ask about my tours and what was going on. "He was so supportive. He always wanted to know more about my game. "I am sad that they're both gone but it's motivated me to keep going. They would want me to be positive. They motivate me to get to training and do my best every game."